The legendary Honda Africa Twin is back! And this time it’s in India and in full automatic form. The Honda CRF1000L, or Honda Africa Twin as it’s popularly known, made its global debut last year, and promises a very capable adventure bike, with off-road manners inspired by its thoroughbred dual purpose and rally-oriented origins in Honda’s global line-up. 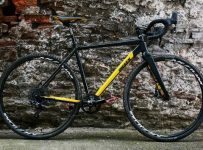 Does it have what it takes to be a winner in the booming adventure bike category? 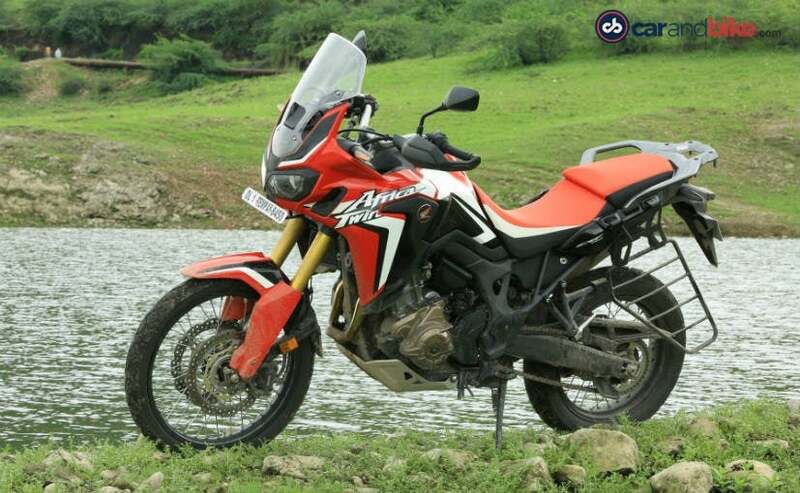 We spend some time with the new Africa Twin around Udaipur, Rajasthan. The Honda Africa Twin certainly looks attractive, very attractive actually, in its trademark ‘victory red’ shade, which is the only one on offer in India. 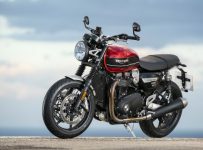 The bike follows typical adventure styling, with a tall stance, minimal bodywork, but with a sort of half-fairing influenced by rally enduro bikes, dual LED headlights topped by a windscreen, large, spoked wheels with a 21-inch front and an 18-inch rear, and high ground clearance. Compared to other adventure bikes in its class, the Africa Twin looks slim, and lithe, although it’s got plenty of road presence and turns heads everywhere. The instrument panel gets a nice back-lit panel and readability is one of the very best in this segment right now. 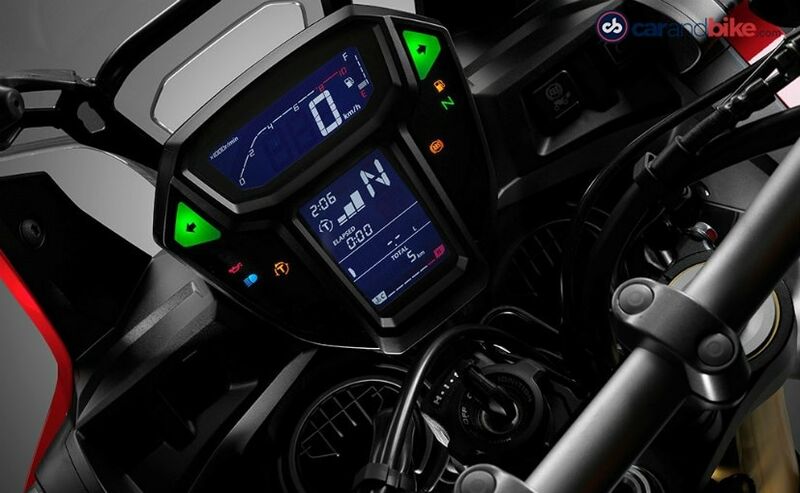 Yes, it’s all-digital, so even the tachometer is a bar, and you get different read-outs like fuel gauge, time, traction control set-up, gear position indicator, ambient air temperature, fuel consumption, two trip meters and digital odometer. Switchgear is high quality too, and going through the different menus is easily laid out on both the left and right handlebars. The horn switch and turn signal indicator still takes some getting used to, and you end up honking while thumbing the turn indicator, at least it happened to us on more than one occasion. 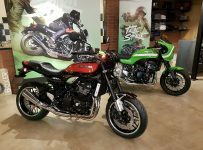 This time around, Honda engineers decided to give the new Africa Twin a parallel-twin set-up instead of the v-twin motors earlier versions of the AT has had. In the India-spec bike, the 998 cc, liquid-cooled, parallel twin motor makes 87 bhp at 7500 rpm and 91.9 Nm at 6000 rpm. 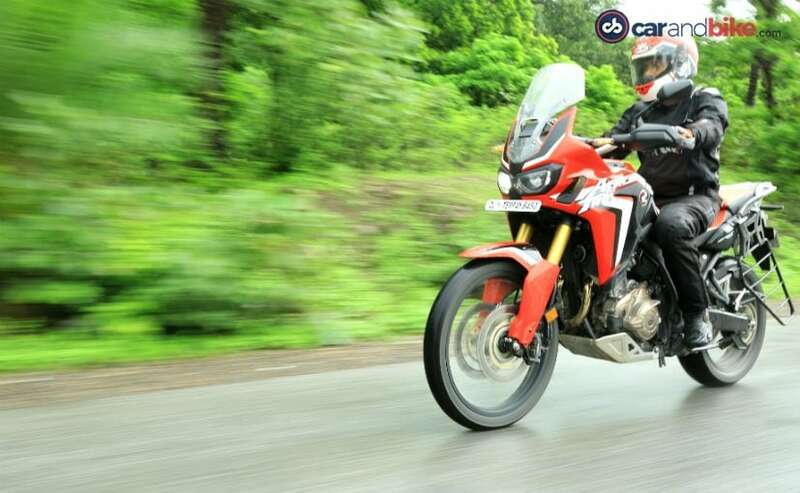 The European-spec model makes slightly more figures, but the upside is that the Africa Twin runs on standard fuel in India, so you can run it on any octane fuel, sourced anywhere in the country. If it’s just a matter of numbers on paper, our figure-obsessed fraternity may argue the Africa Twin isn’t the most powerful, but how much power do you need really? And how many times does the average rider use all that power? In our experience, the Honda Africa Twin has more than enough punch really, for long hours on the highway, effortless overtaking and is more than adequate for the average rider who has touring in mind, with a fair bit of off-road riding thrown in.